Whatever you are doing, thinking is decided by this God. Now let us ask some questions. How does this universe come about? Is there a Real god in this world? I hate philosophy lessons when I were in high school cause the words in books are so boring and tedious. But I love this book even now I have graduated from college for one year. 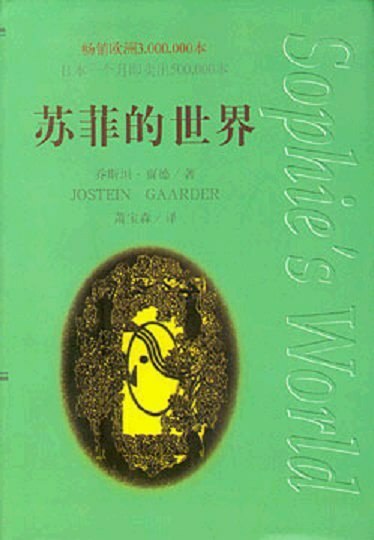 Sophie’s world is not only teaching you some useful philosophy knoledge, but also telling you a very interesting story. I am totally attracted by it. Thank you for Jostein’s Creation.